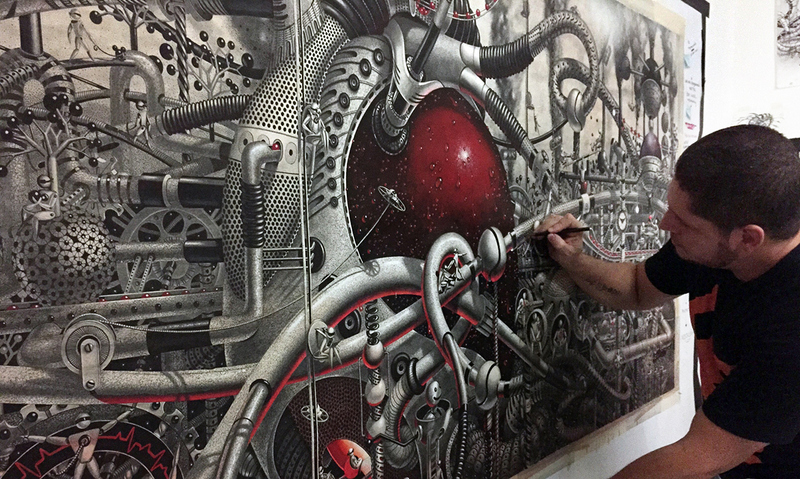 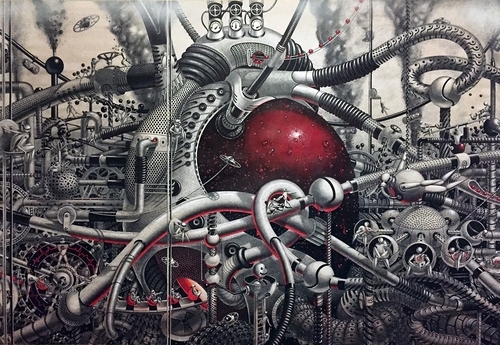 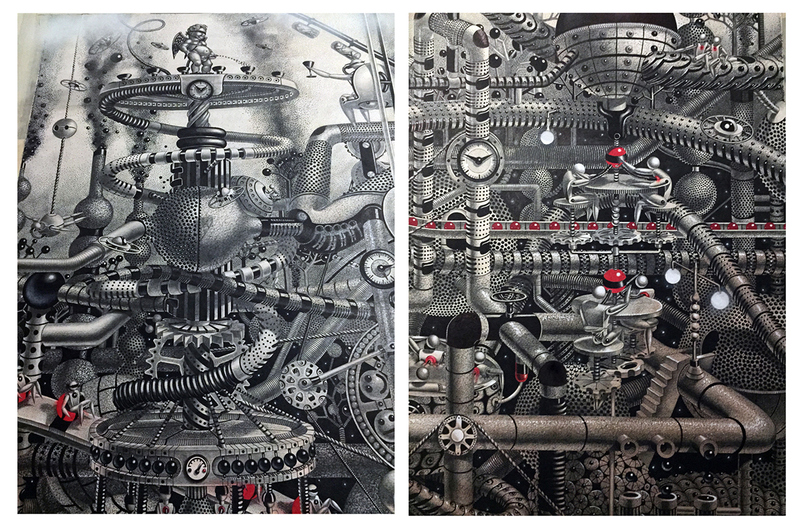 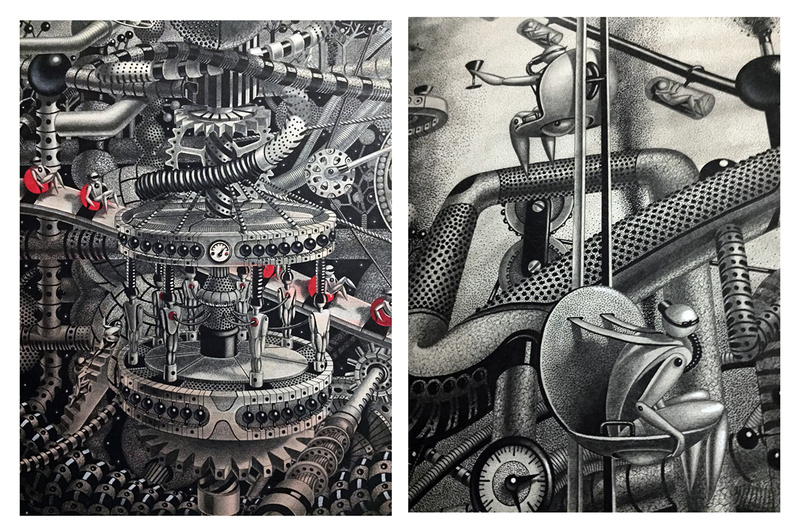 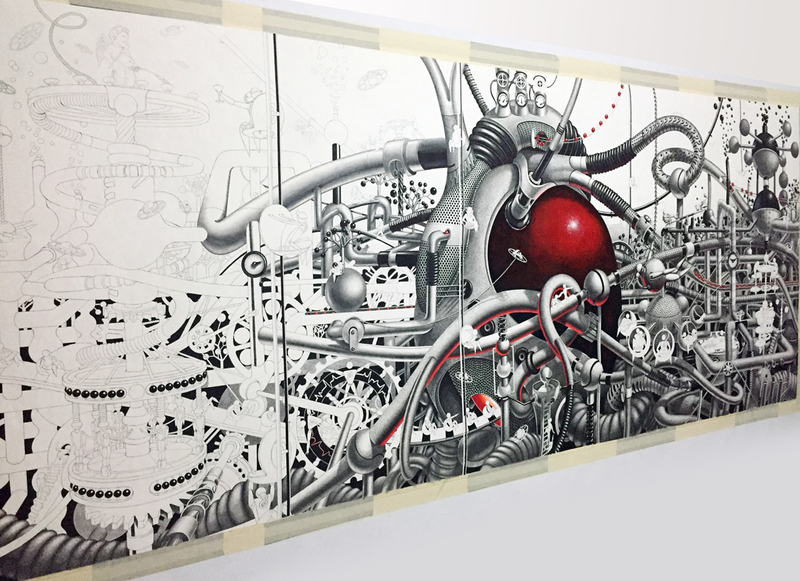 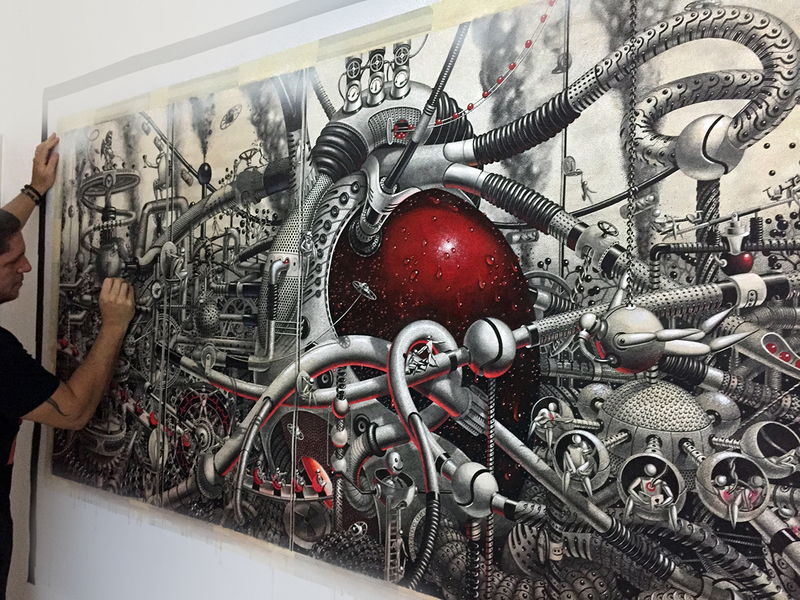 Samuel Gomez is well known for producing very large drawings with a lot of detail in every part of it, his latest one is Oasis, drawn and painted in 2015 with Graphite, Ink & Acrylic on paper, it measures: 8.5ft by 3.5ft (2.6m by 1m). 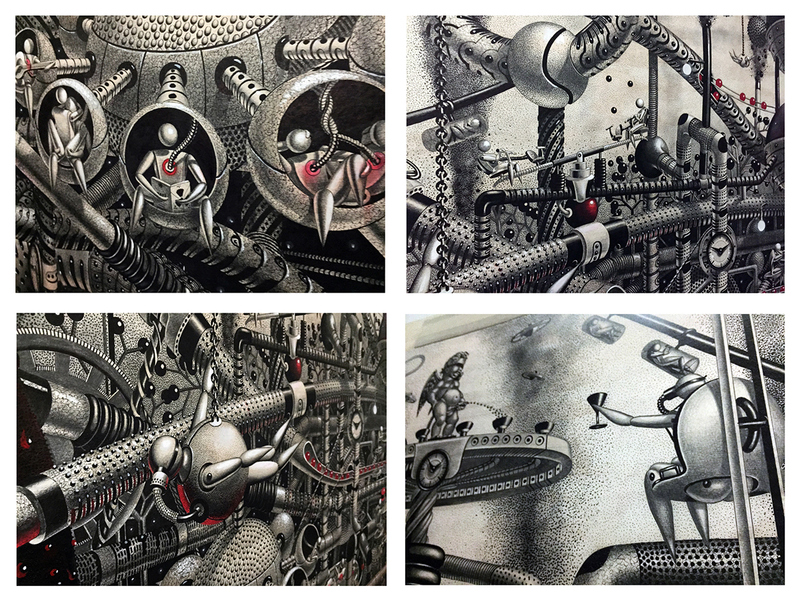 We have featured Gomez at the beginning of the year with this post link "Massive Detailed Drawings and a Guitar". 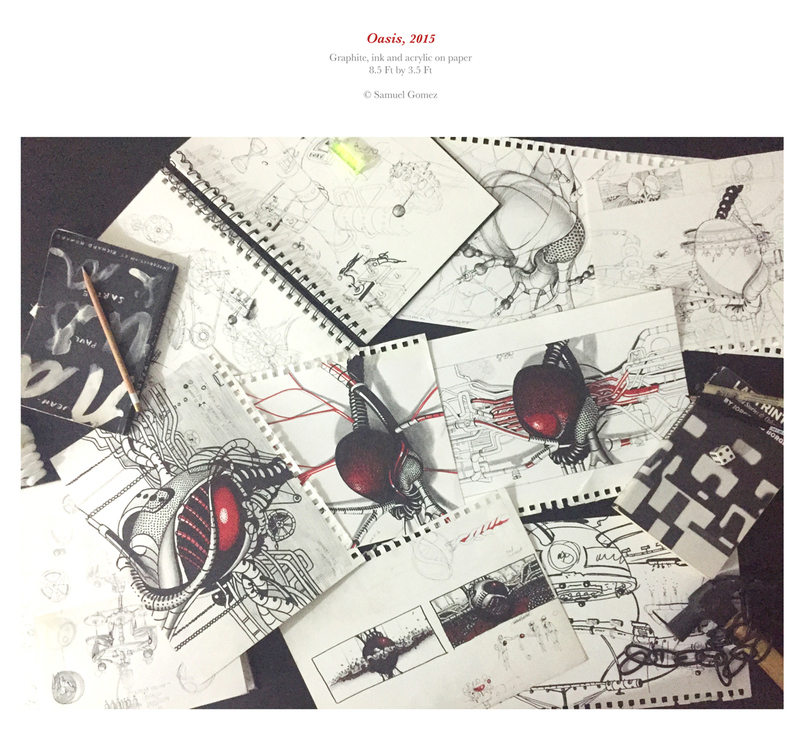 We have included sketches and details so that you can appreciate more, the amount of work that goes into one of his illustrations.